I am about to return to the UK after my first visit with Padma to North Sri Lanka, where the charity was born. We visited many homes of the most impoverished families. Our priorities for this visit were women led families, special needs children and those with physical disabilities, bringing them aid of all kinds. We also laid foundation stones for a new community building in the village, opened a special needs unit at a school, and visited one of the schools that receives the Sunshine Programme, which brings children 2 hours a day of extra tuition in Tamil, English, maths and science, plus a much-needed nutritious meal and a yoga class! I was moved to tears many times. One of my eye-opening moments was realising how far money goes in Sri Lanka, with life changing effect. Just £200 can support a student at university for a whole year! 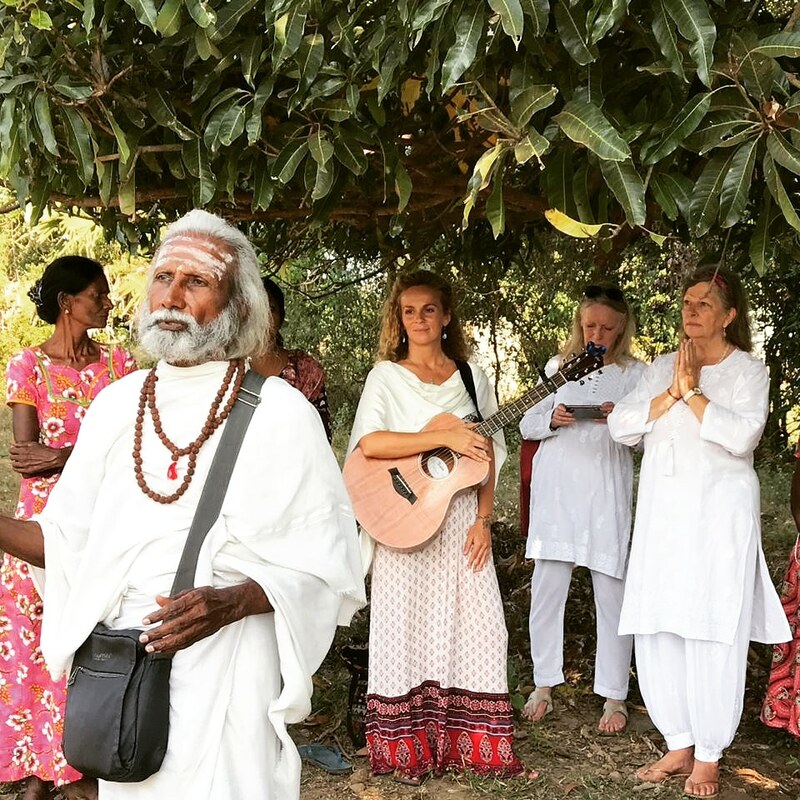 So would you like me to bring a kirtan concert to you?